Recently we removed a 1/2 rack of servers from one of our data centers. That included our last two Microsoft Hyper-V 2012 R2 servers that hosted two VMs with historical STH Bench data for development. To make things slightly more interesting, the domain controller had been removed so we had Hyper-V hosts that were not responding to GUI tools and we had one day to move data off them. 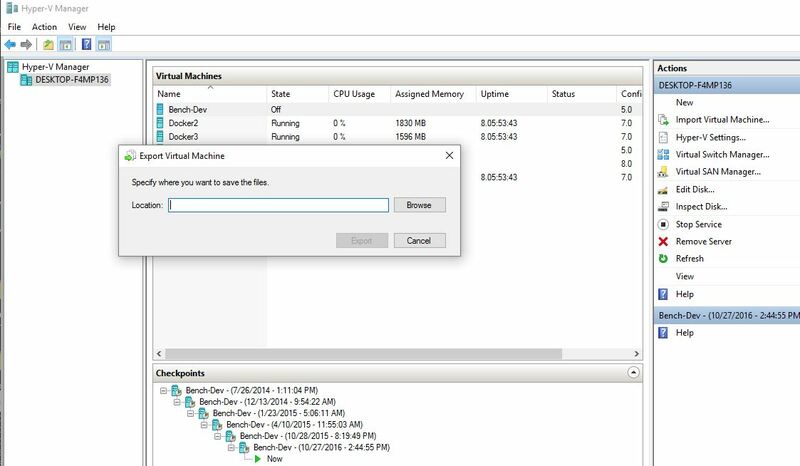 Not a great situation, but we wanted to show how you can quickly convert a Hyper-V VM to KVM. In this case, we are putting the VMs on a Promxox VE cluster so we can get the VMs on an all-flash Ceph storage array. Proxmox VE is a Debian Linux based platform that combines features such as KVM virtualization, containers, ZFS, GlusterFS and Ceph storage as well as cluster management all with a nice Web GUI. If you are simply using a Ubuntu, RHEL or CentOS KVM virtualization setup, these same steps will work minus the Proxmox GUI views. Hyper-V has a great snapshot and replication feature. The Hyper-V hypervisors we had setup had a very fast 40GbE interconnect and SSD storage so we could take many snapshots. The first step is to export the VM so you can have one vhdxx virtual drive to transfer and convert. If you can use the GUI, this is a few clicks away. If you cannot get to a Hyper-V Manager GUI, then you will likely want to use the Export-VM command via PowerShell. If you get really stuck and cannot open a remote PowerShell session to the Hyper-V host, you can use RDP (if enabled) or iKVM on the server to get to a PowerShell prompt. Using the Export-VM command via PowerShell or via the Hyper-V Manager GUI ensures that you get a single vhdx file ready to transfer and convert. This step is really easy, especially if you exported the VM to a network share location. If so, you can simply copy the resultant vhdx to the new server. If you cannot, we have seen various other combinations of USB drives, SFTP clients and other methods to get the vhdx drive to the target server. Since the transfer was likely many GB in size and we are going Windows to Linux, it is always good to check that the vhdx image does not have errors before proceeding. Here is the command where “Bench-Dev.vhdx” is the file we transferred. As you can see, the vhdx file passed with no errors reported. Why the step with qcow2 when you want to use ceph anyways (where one would typically use raw format)? Nice guide but I don’t think it covers Windows 2012 Server conversions completely. I’m running qemu-img 2.2.1, is a newer version required in order to accomplish this conversion? J Copeland You need to convert file in Linux using qemu-img, not Windows. Then it will work fine. I tried this. My UEFI Linux VMs came across fine, but the UEFI 2012 R2 servers just blue screen on startup (came from Hyper-V Server 2016). Blue screen? 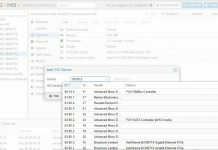 Than you uses from harddisk controller in your Proxmox VM config. Switch to IDE0 for your boot drive.